Omani forecasters warned Salalah and the surrounding area would get at least 200 millimeters (7.87 inches) of rain, over twice the city's annual downfall. 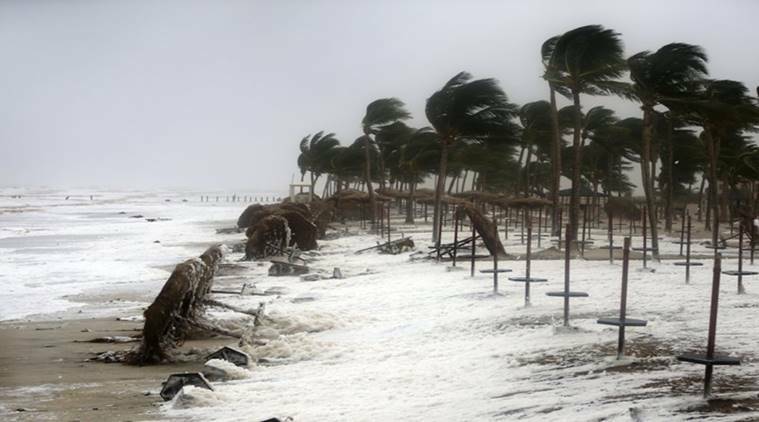 Cyclone Mekunu blew into the Arabian Peninsula early today, drenching arid Oman and Yemen, cutting off power lines and leaving at least three dead and 40 missing, officials said. 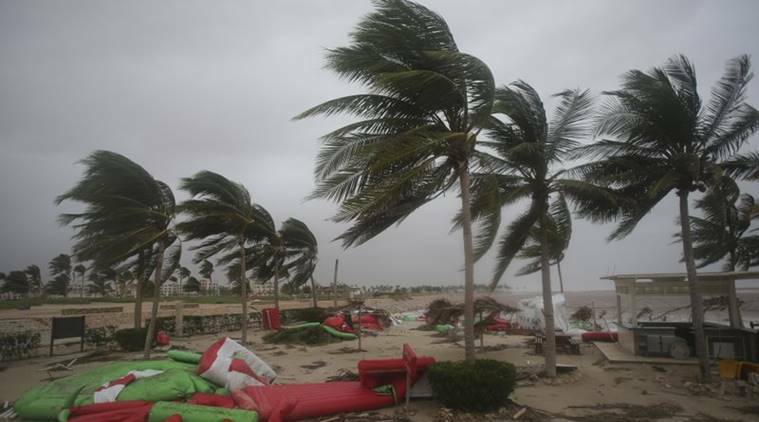 Portions of Salalah, Oman’s third-largest city, lost electricity as the cyclone made landfall. 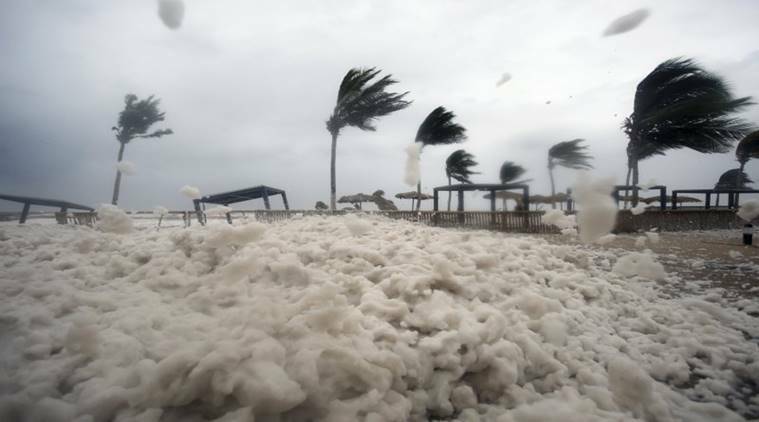 The Arabian Sea churned Saturday morning, sending mounds of sea foam into the air. The waves ate into one tourist beach, pulling hunks of it away and toppling thatch umbrellas cemented into the sand. As Mekunu barreled overhead, the eye of the storm provided a moment’s respite. At one luxury hotel, which already had evacuated its guests, workers sat down early for a traditional “suhoor,” a meal Muslims eat before sunrise during the holy fasting month of Ramadan. They laughed and shared plates by flashlight in a darkened ballroom, the cyclone’s wind a dull roar behind their clatter. Three people, including a 12-year-old girl, died in Oman, and 40 others are missing from the Yemeni island of Socotra, which earlier took the storm’s brunt, police said. Yemenis, Indians and Sudanese were among those missing on the Arabian Sea isle and officials feared some may be dead. Across Salalah, branches and leaves littered the streets. Several underpasses became standing lakes. Some cars were left abandoned on the road. Electrical workers began trying to repair lines in the city while police and soldiers in SUVs patrolled the streets. On the outskirts of the city, near the Salalah International Airport, what once was a dry creek bed had become a raging river. Many holidaymakers fled the storm Thursday night before the airport closed. The Port of Salalah — a key gateway for the country — also closed, its cranes secured against the pounding rain. Omani forecasters warned Salalah and the surrounding area would get at least 200 millimeters (7.87 inches) of rain, over twice the city’s annual downfall. Authorities remained worried about flash flooding in the area’s valleys and potential mudslides down its nearby cloud-shrouded mountains. A sizable police presence fanned out across the city, the hometown of Oman’s longtime ruler Sultan Qaboos bin Said. Many officers rode in Royal Oman Police SUVs with chicken wire over the windows, likely because their other vehicles weren’t tall enough to maneuver through the floodwater. “Of course, for the citizen there is going to be a sense of fear of the consequences that can happen,” said Brig. Gen. Mohsin bin Ahmed al-Abri, the commander of Dhofar governorate’s police. “We have been through a few similar cases and there were losses in properties and also in human life as well. But one has to take precautions and work on that basis.” As torrential rains poured down on Friday, authorities opened schools to shelter those whose homes are at risk. About 600 people, mostly laborers, huddled at the West Salalah School, some sleeping on mattresses on the floors of classrooms, where math and English lesson posters hung on the walls. Shahid Kazmi, a worker from Pakistan’s Kashmir region, told The Associated Press that police moved him and others to the school. He said he was a bit scared adding: “God willing, we are safe here.” On Socotra, authorities relocated over 230 families to sturdier buildings and other areas, including those more inland and in the island’s mountains, Yemeni security officials said. Flash floods engulfed Socotra streets, cutting electricity and communication lines. Some humanitarian aid from Saudi Arabia and the United Arab Emirates arrived on the island just hours after the cyclone receded.